In the past, you would have read articles saying that “video is the future”, well, we are in that future!. Every you look these days, from twitter to facebook to Instagram to Snapchat it’s all about videos, videos and more videos. According to HubSpot 92% of the mobile video audience shares videos, which demonstrates their commanding popularity. In addition, on YouTube alone there are 4 billion views per day-video is extremely popular and your business needs to be part of it. If you were not convince at number 1 than this ought to get you up and running!, According to a recent study by Outbrain, 88% of agencies surveyed has said that video is the most common form of content being created and distributed right now, and i am sure if you search your competitors social media platforms and website(s) you would definitely come across video content. This mean that you are already behind in the race to gain new customers! 3. Videos rank you higher in search results! SEO (Search Engine Optimisation) is important for any business out there, but do you even realise that YouTube IS the second largest search engine in the world? Yes! Google leads the race but YouTube is not far away and people love to validate and learn more about their potential purchases or about a company the visual way – videos! Using video to your SEO advantage is as easy as tagging your video, using keywords in the text, and utilise the video transcript. Google (Google also owns YouTube!) LOVES videos. 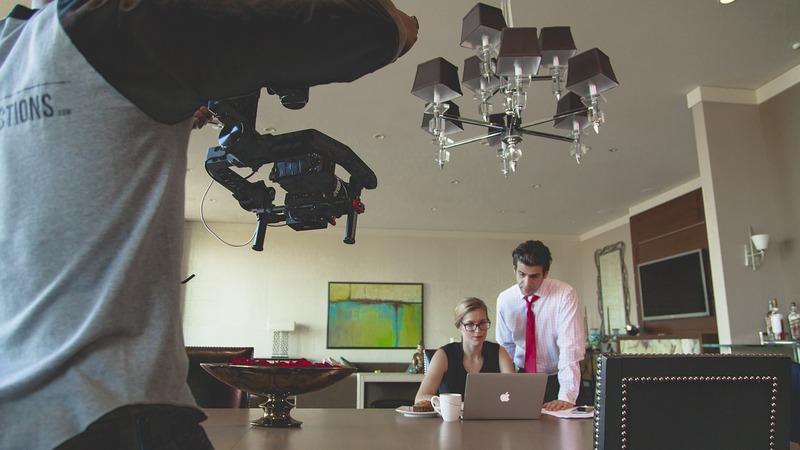 Having a corporate video not only lets your customers know your services but it boosts your websites SEO and you could find yourself higher up on Google Search. Have you tried asking people to share pamphlets or brochures? That’s the “old school” way, these days with Facebook and Instagram focusing their efforts on video distribution it makes it easy for consumers to share videos. This is the easiest way to generate traffic back to your website and your business and with the accessibility of video it makes it easy to people to share and you could be reaching millions of people worldwide if all goes well! Here in Malaysia, 18million people are active mobile internet users and since 2016 mobile has overtaken desktop as the main device to access the internet. Mobile users in Malaysia also love video content simply because our telco’s have impressive data plans with some even offering unlimited data for video streaming. In addition, Google tells us that smartphone users are twice as likely than TV viewers and 1.4 times more likely as desktop viewers to feel a sense of personal connection to brands that show video content or ads on their devices. Call us at 03-80609671 or contact us via a contact form so we can help you produce your next video!